YANGON — Ma Mee Mee, a prominent member of the ’88 Generation Students group, died in a car accident on Monday while on her way back to Yangon from Irrawaddy Region. She was 47 years old. Born Thin Thin Aye, her political activism started as a high school student when she joined the 1988 uprising to topple the military regime of General Ne Win. She was arrested three times between 1988 and 2012. In 2007, when the ’88 Generation Students group led protests against the military regime over rising fuel and commodity prices, Ma Mee Mee was actively involved. Pictures of her with her fist raised appeared in international media including The New York Times and drew the attention of the regime, driving her into hiding. She was arrested later that year and sentenced to 65 years in jail. The protests the group started in 2007 evolved into the “Saffron Revolution,” during which Buddhist monks took the place of leading members as they were arrested. The protests turned bloody when the military started firing at participants. After her release in 2012, Ma Mee Mee became a deputy of the women’s department of the ’88 Generation Peace and Open Society group, which made women’s empowerment one of its priorities along with human rights, peace in ethnic minority areas and workers’ and farmers’ rights. As a former political prisoner, she knew something about fear — that you should never let it stand in your way. That is why the veteran activist made it her mission to persuade other Myanmar women to set aside their fears and take a more active role in politics. Her own role was to draw women into the discussion. She said that despite meeting many engaged women, they did not know how to get more politically involved. As much as she wanted to change that mindset, however, Ma Mee Mee did not merely urge women to ignore social attitudes or their own reluctance to get involved in activities that many still see as potentially dangerous. Rather, she appealed to their own innate capacity to understand issues that deeply mattered to them. 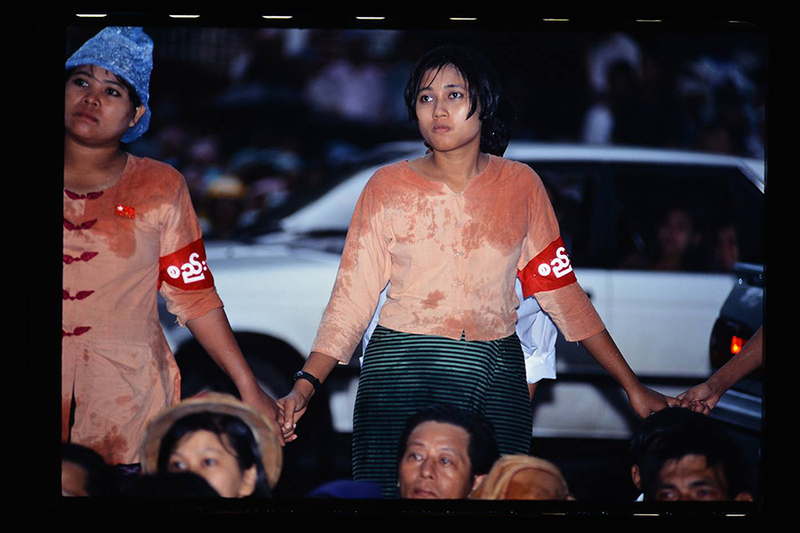 She once told The Irrawaddy that she would not force them to accept any ideology without knowing the meaning of it themselves. “I want women who join politics to be able to think for themselves about what is right or wrong, using their own critical thinking,” said she. In a condolence letter, the ruling National League for Democracy party described Ma Mee Mee as “a comrade at the forefront of the country’s democracy movement” and said it was very saddened by her death.